The Client Infrastructure Refresh Project Implementation Phase has begun. The current timeline targets for the communities is shown below. The Home Office is happening in 3 phases. The implementation will include a fresh reimage of your current PC or a replacement of your current hardware is ready for replacement. (Laptops > 3 years & Desktops > 5 years) The new standard image includes Windows 10 and Office 2016. Local drive files and settings will come over on reimage. The Home Office Phase 1 has already began. Thank you to those participating in the first phase and the helpful feedback. If you are in phase 1 you will be contacted soon about getting started. The ED Monthly report 2018 template is now posted in each community site. 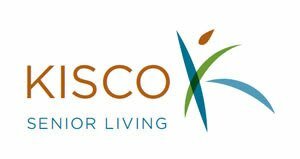 To find the job aid on completing the report please visit Kisco Connect. Update from Tyre sent out to all EDs and ALDs about containment. How to minimize the number of infected residents and staff. Best practices and how to go into quarantine if needed. Homes of Hope 2018 is coming soon. Dates will be May 18-19, 2018. The nomination/selection process for community associates to attend will be announced soon. Communities bear the cost of flying the associate to San Diego and any out of pocket expenses for food while traveling. Home office will bear the other costs associated. The Finance team is extremely excited to say that we are officially live with NetSuite! NetSuite is our new financial system. With a new financial system, comes a new and improved chart of accounts. Please see the new 2018 chart of accounts attached, which will be posted to HO Collaboration on SharePoint. Due to the revised chart of accounts, the following modifications to AvidExchange have been made. Job cost codes are now Project and Task codes. The Project and Task codes will be created next week for all 2018 approved CapEx and Unit Renovation projects. If you have any questions regarding these changes, please feel free to contact your AP Specialist, Mareia Johnson (AP Manager) or myself.